"HypnosisMic -Division Rap Battle-" is a rap battle project, involving 12 male voice actors, by KING RECORDS. The setting of this project is a world in an era called "H" where, instead of guns, people fight each other using "hypnosis mic", a special mic with the ability to interfere with the human mind. The men are divided into 4 divisions and they fight for territory through rap battles. Popular voice actors immerse themselves in various roles for this project (a delinquent, a yakuza, a designer, a doctor, and many more) and the story of their epic rap battles is rapidly spreading, particularly among women. 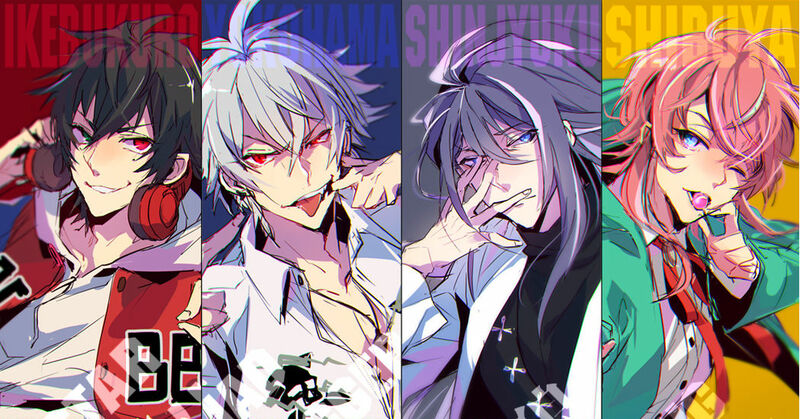 This time we're featuring fan-arts of "HypnosisMic", a project with skyrocketing popularity. Enjoy!